Gov. 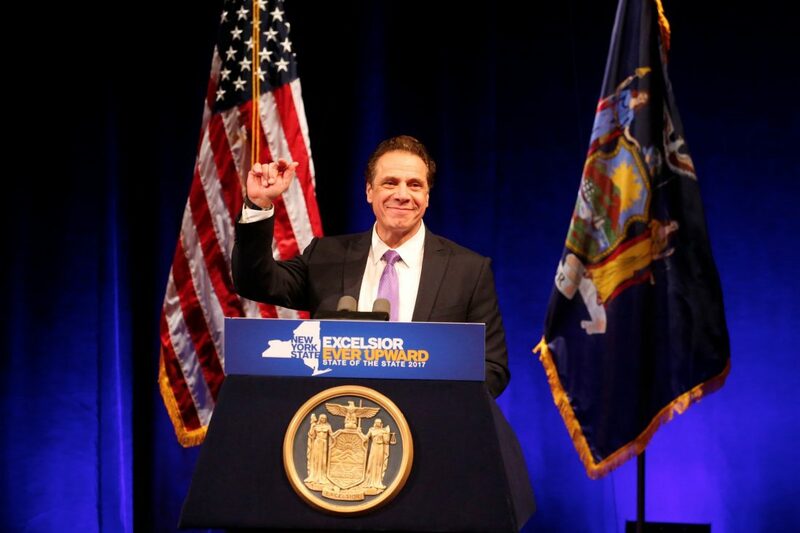 Andrew M. Cuomo called for a $2 billion investment in water infrastructure across New York State during his State of the State address today in Westchester County. The Clean Water Infrastructure Act of 2017 would help communities upgrade aging drinking water and wastewater infrastructure. "Investing in water infrastructure is critical to fostering growth in our communities and our state," Cuomo said. He added: "This investment will rebuild and improve our regional infrastructure, while supporting a stronger, healthier New York for generations to come." Specific locations in the state where the money would be spent were not revealed. A statement from Cuomo's office said the act "will provide the capital dollars needed to upgrade municipal drinking water systems, improve municipal wastewater systems and protect drinking water at its source." For drinking water, the upgrades would be designed to cleanup "regulated and unregulated contaminants," including lead and connecting areas still on well water with public water systems. Improvements on the wastewater side would include upgrades to increase capacity at wastewater plants and connecting septic customers in more densely populated areas with sewer systems, according to the governor's statement.